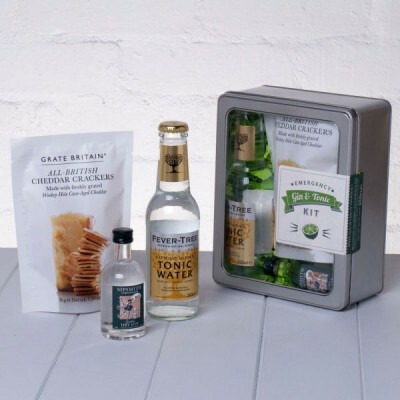 If you know a Special Dad who loves an ice-cold, refreshing Gin & Tonic at the height of a summer’s day or on a Friday night around six then we may just have the perfect Gift. Imagine your Dad's pleasure as he drops ice into a tumbler, adds a good slug of aromatic gin, tops up with fizzing tonic and lastly adds a citrus burst, courtesy of a wedge of lime. A really good G&T starts with the very best ingredients and we’ve selected Sipsmith London Dry Gin (hand crafted in tiny batches), partnered it with Premium Fever Tree Tonic Water and added a fresh, juicy lime. When mixed together over ice these make, in our opinion, the perfect G&T.